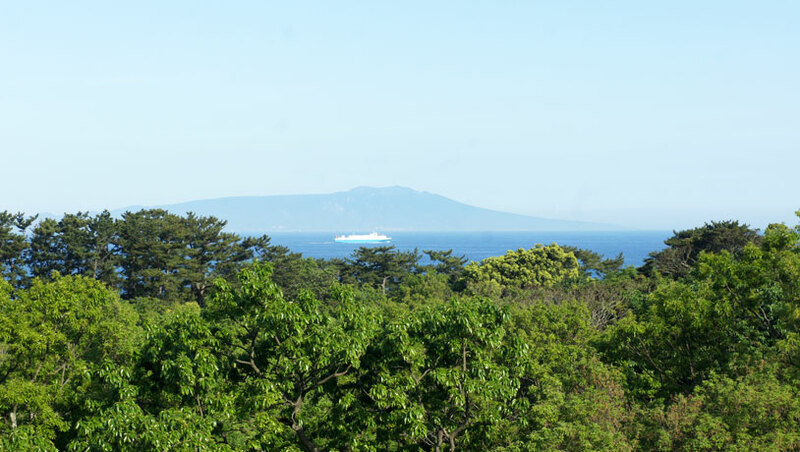 View from the window of a guest room: evergreen forest along the coast and the distant view of Izu-Oshima Island. Our good friends from the Tanzanian days, Yoshiyasu and Junko Mizuno, reopened their boutique hotel Minami-Kaikisen (Tropic of Capricorn) in Izu after their return to Japan. 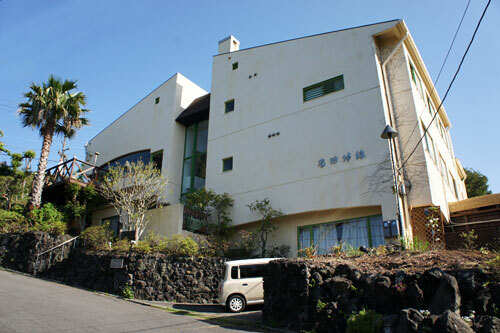 Mr. Mizuno was working as representative of a major Japanese trading company in the Middle East and East Africa, before he utilized his right of early retirement and started, together with his wife Junko-san, a pension "Minami-Kaikisen" in Jogasaki, a scenic coastal area of Ito City. It acquired high evaluation of its visitors and was awarded with the "prize of best acknowledgement by visitors" of Rakuten Travel, a popular tourist information site of Japan. Accordingly, Minami-Kaikisen was reported through TV and its business flourished. Three years passed and on one day he was asked by the Government of Japan to assume a senior advisor post at the Government of Tanzania. Attracted by its role to work for the public purposes instead of making profit, he decided to suspend the flourishing business and went to Tanzania to serve at the Ministry of Industry and Trade for three years. The initial three years term was, however, extended repeatedly, because the President, Ministers and senior Governmental officials of Tanzania did not want to let Mizuno-san go, as he not only possessed excellent expertise but good understanding of the Tanzanian society and the thoughts and feelings of the Tanzanians. In short, he became an indispensable person in the management of industrial policy of Tanzania. As a result he came to stay in Tanzania much longer than he had originally expected, but at last he decided to come back to Japan and to reopen his successful tourism business. So, after seven years' stay in Tanzania, Mr. Mizuno finally returned home early this year and after the months' long intensive preparation work reopened his "Minami-Kaikisen" on the First of May. Minami-Kaikisen was graded up from a pension to a "boutique hotel" or "auberge" with stronger African, in particular Tanzania flavor. We were invited to Minami-Kaikisen for its reopening and we celebrated the new start together with another old friends of the Family Mizuno. 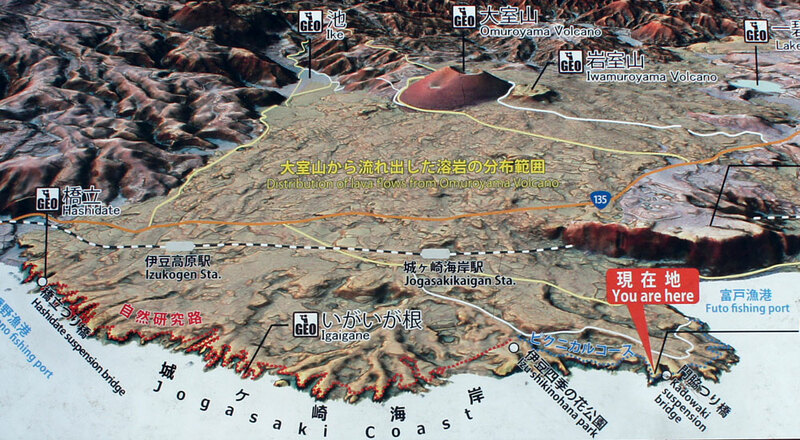 The coast of Jogasaki is formed by the lava coming down to the sea, when the nearby volcano Omuroyama erupted some 4000 years ago. The attraction of Minami-Kaikisen is first of all its location. 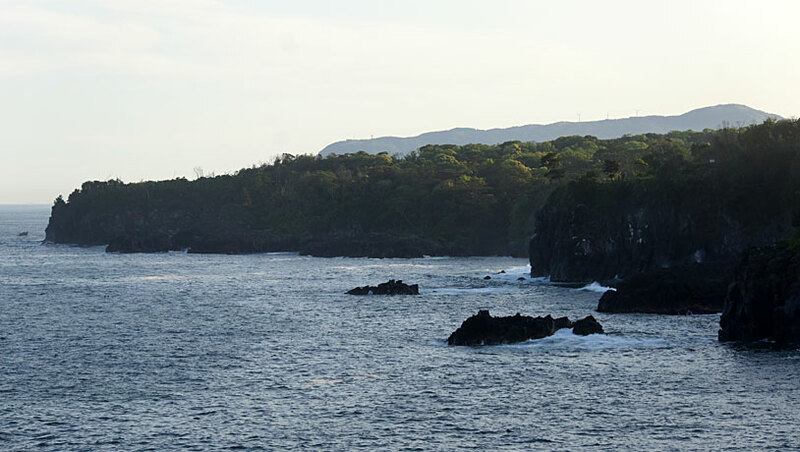 Being located in the Fuji-Hakone-Izu National Park, the view from Minami-Kaikisen of the evergreen forest along the coast and the distant view Izu-Ooshima Island and other islands of Izu-Shichito (seven islands of Izu) are simply great. 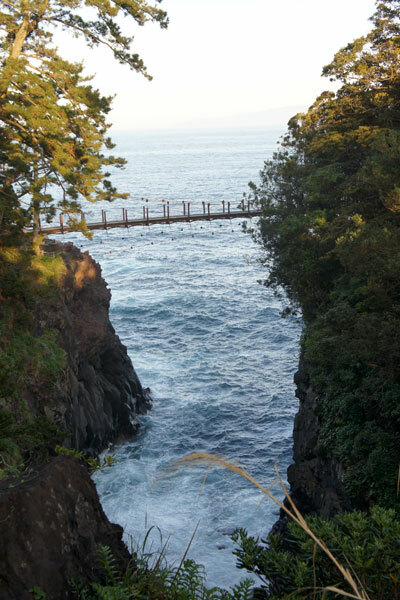 Only with a few minutes' walk from Minami-Kaikisen you can reach a light house and a suspension bridge on the rough rocky coast of Jogasaki, which draw thousands of tourists during the high-season. Minami-Kaikisen has 6 guest-rooms, all facing the sea; three of them are with Japanese style tatami mats and three others are designed more in Western style with African taste. 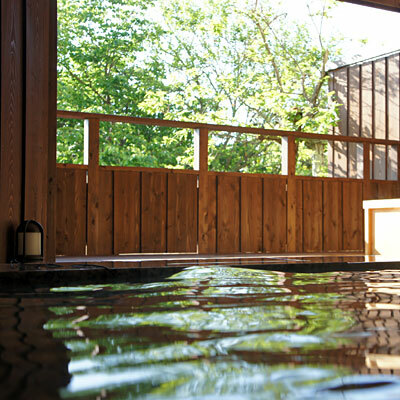 There are two Japanese style public baths which are used for male and female guests alternately. Ito is rich in hot springs and each hotel must meet the visitors' expectation for good relaxation in bath with abundant spa water. Dining room is the center of activities of Minami-Kaikisen. The large dining hall is the center of activities of Minami-Kaikisen. First of all, guests are served with excellent meals prepared by Junko-san and her team in this room. Her cuisine is based on the Japanese tradition, but adopts various cooking styles and dishes of different countries ranging from Asia to Middle East, Europe and Africa. 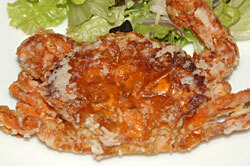 As the reopened Minami-Kaikisen has more African touch, her cuisine does not forget African taste. Rich spice used for some dishes reminds me of the Zanzibar kitchen. 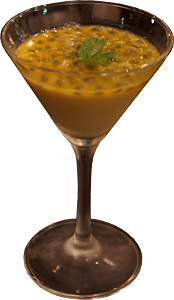 Numerous fresh local ingredients give her possibilities of adventurous trials which create delicious but funky novel tastes. 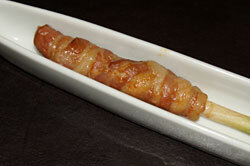 For example, fried ginger stalk wrapped with bacon was quite new to me. 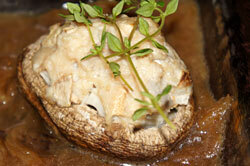 But, it looks and tastes nice and promotes appetite. Dinner is accompanied by house music. On the first day, we were welcome by a jazz band Minami-Kaikisen. All members of the band have their job to earn their bread and butter and the leader is a Buddhist priest. 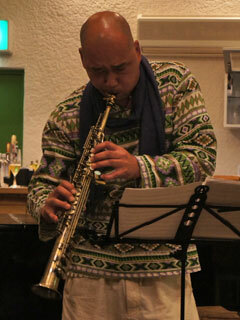 He is an excellent saxophone player and in that evening he was playing with a guitarist and a percussionist. 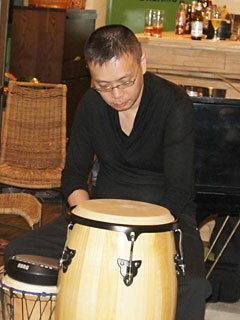 The three members of the jazz trio are all from the nearby town Kawazu. They used to play at Minami-Kaikisen till seven years ago and are more than happy to come back to this place and play again, and named themselves "Minami-Kaikisen Band". Though they are by definition amateurs, their music is really professional. 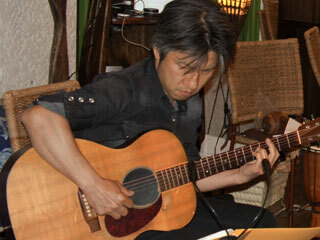 If you visit Minami-Kaikisen, you may be surprised by their exiting music. But, you might find other musicians playing totally different types of music such as European classical music. So, you should ask Mizuno-san who will play on a certain day, if you want to listen to certain style of music. I should not forget that there is a baby Labrador retriever in Minami-Kaikisen. In fact, Mizuno-san is a dog lover. He used to have two Labrador retrievers, mother and daughter, during his stay in Tanzania. Unfortunately the mother died due to her high age about a year ago. 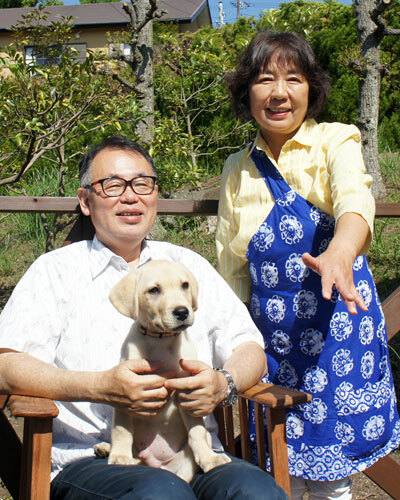 To the great shock of Mr. and Mrs. Mizuno, the daughter suddenly passed away on their scheduled departure day to Japan and they suffered from "pet loss" when they restarted their life in Japan. Then, Mizuno-san happened to find a sweet baby Labrador in a pet shop on his daily walk and decided immediately to have him. He is called "Kei", the same as the good Japanese tennis player Kei Nishikori, and already an important member of Minami-Kaikisen. 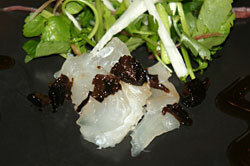 Last but not least, the essential charm of Minami-Kaikisen is the hospitality of Mizuno-san and Junko-san. 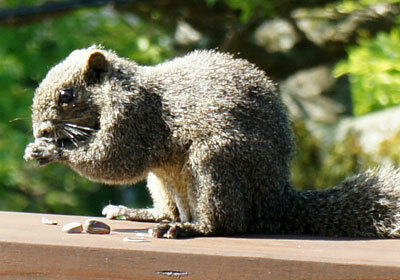 They are both outgoing and chatty persons and try everything to entertain their guests. The old Minami-Kaikisen had many repeaters, who I guess are surely enchanted by the hospitality of the couple. 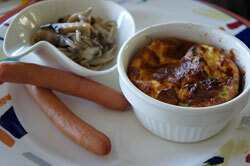 "Omotenashi" is a Japanese word for hospitality. The word became very popular in Japan as it was the key-word in the campaign to invite Olympic Games 2020 to Tokyo. I am sure that Mizuno-san and Junko-san embody Omotenashi, the heart of the Japanese culture. 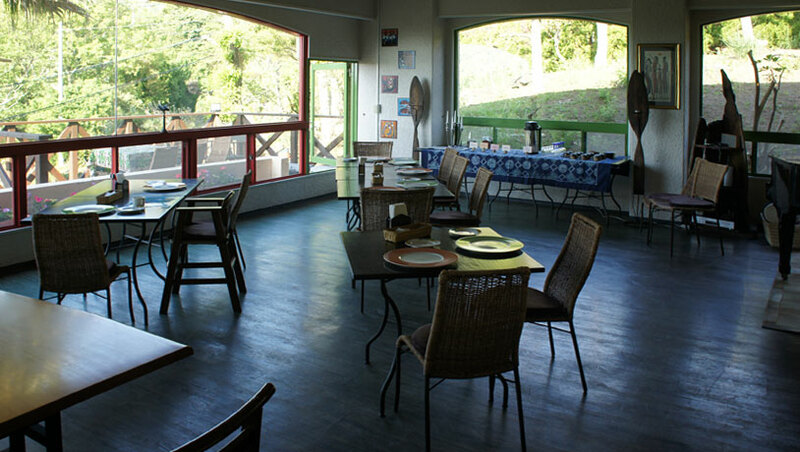 So, please visit Minami-Kaikisen and enjoy their hospitality, novel and delicious food with African touch and the beauty of the Japanese sea landscape.